How can you stop yourself from twirling in a gown made of tiered tulle ruffles? Impossible, right? One of my favorite elements of every Giambattista Valli Couture show are the floaty tulle tiered gowns that appear at the end of the show. The red gown was definitely a show stopper. Gorgeous gowns which you’ve illustrated beautifully. A person would have to learn how to walk in a gown like that. Lol. Thank you, Joanna! That’s so funny. I’m sure that navigating in one of those dresses is quite the endeavor. 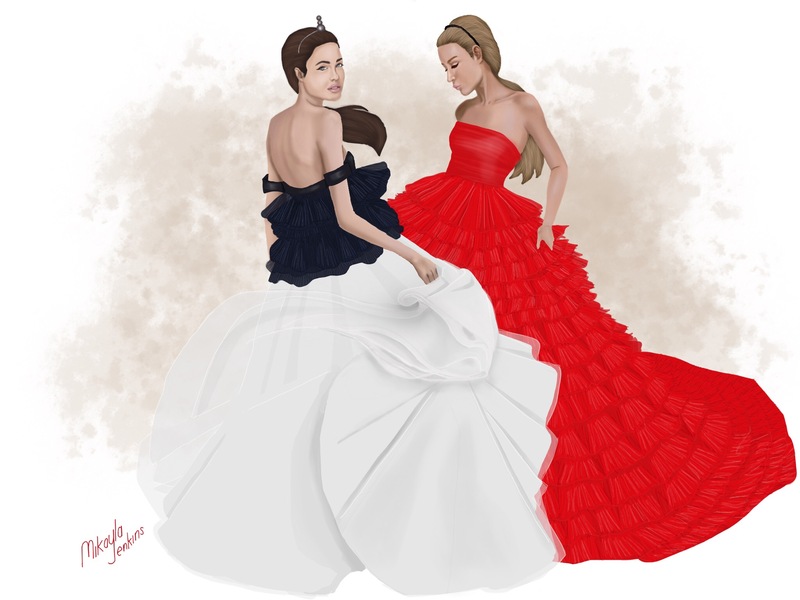 Wow Mikayla these illustrations are exquisite, and what beautiful gowns! They really are glamorous, and fit for a princess. You’ve captured the ruffles and movement of the fabric beautifully. Thank you so much, Saba!